The Wild Coast is a really great destination. Protected for years by limited road access, this area offers a combination of rural tranquillity, traditional African lifestyles and architecture, almost unbelievable scenery and fascinating flora and fauna with the opportunity to have a great beach holiday. Hotels are spread out along the coast in the small settlements, almost all of which have their own road down from the N2 - so it's not easy moving from one coastal spot to the next. This is a bit of a problem, but the planned 'solution' may be even worse. A planned coastal highway would, admittedly, make it easier to get around for both tourists and those few locals who can afford cars but the main advantage would be that it would make it so much easier to transport the heavy metals that multinational corporations are just itching to mine in the to date untouched coastal dunes. So - our vote is we put up with somewhat tricky road access. As for the hotels - some are great, some a little run down, but all offer fantastic views and, invariably, excellent and plentiful seafood. This is a wonderful family holiday destination and almost all the hotels have family rooms, babysitting services, children's programmes and children's meals. There is so much to do here and so many new friends to be made that most children are quite reluctant to leave at the end of the holiday, and many local families book their next year's accommodation as they leave for home. Although the coastal hotels are wonderful, probably the best way of experiencing this area is to spend some time with the local people. There is a fantastic community project on the northern Wild Coast, which offers horse riding, hiking, canoeing and fishing from a beautiful tented camp overlooking a turquoise-blue lagoon. 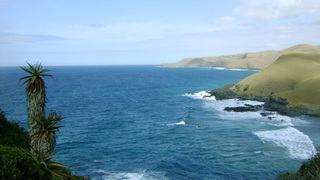 Here you can chat with the local people, learn how they live and go fishing with them, or foraging for wild foodstuffs. Or, of course, you can just lie around relaxing in beautiful surroundings. 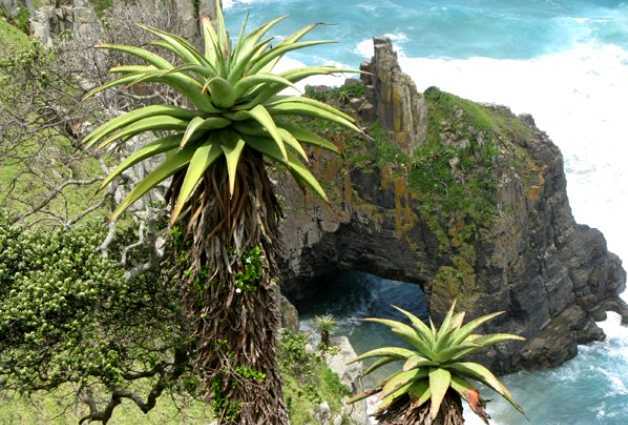 The vegetation of this area is rather unique, as many of the biomes of South Africa come together here, so you will find some unusual plants in what botanists call the Pondoland Centre of Endemism. 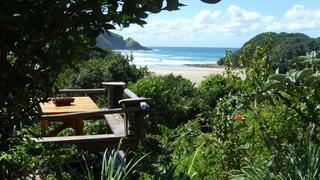 The Wild Coast is renowned for its fantastic surfing and excellent fishing. There is potential for good diving but the conditions are not consistent and there is very little infrastructure. This all changes in July, though, when itinerant dive operators move into the area to take advantage of the sardine run, which is the greatest migration on earth, in terms of biomass. The Wild Coast has long been a favourite hiking destination but the huts fell into disrepair in the 1980s and haven't been rebuilt. But - and this is a good but - you can hike between hotels. Now that's a win-win. You don't have to carry sleeping bags or food. You can even organise to get your luggage driven round for you and take only a day pack. That's styling. Towns on the Wild Coast include the laid back Coffee Bay, the rather bustling Port St Johns and, right at its northern extremity, Port Edward.